"Do you like what I pack for your lunch?" "Do you have enough time to eat?" "Are you distracted by something?" I've tried not to hound R about the eating, since he eats well at home and I do not want lunch to become a power struggle. But since on occasion I welcome a very hungry grump-o-saurus home from school, I know there is room for improvement on the packed lunch front. And so, with this in mind, I was thrilled when my Aunt J shared this appetizer on Super Bowl Sunday. She lovingly left the extra with us, which became R's lunch for a couple days afterward. They are easy to make and can be altered to your heart's content. Oh, and go ahead and freeze a few of them for future school lunches! Preheat oven to temperature stated on cornbread mix recipe. Mix the cornbread recipe according to package or recipe instructions. Spray a mini-muffin tray with cooking spray or lightly grease. 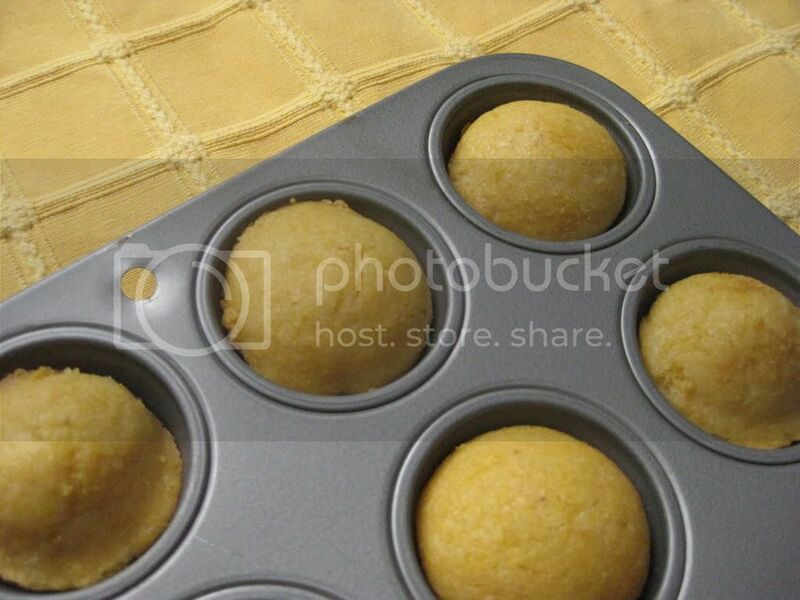 Fill each muffin holder about 2/3 full with cornbread batter. Cook for 7-10 minutes, or until a toothpick inserted in the middle comes out clean. 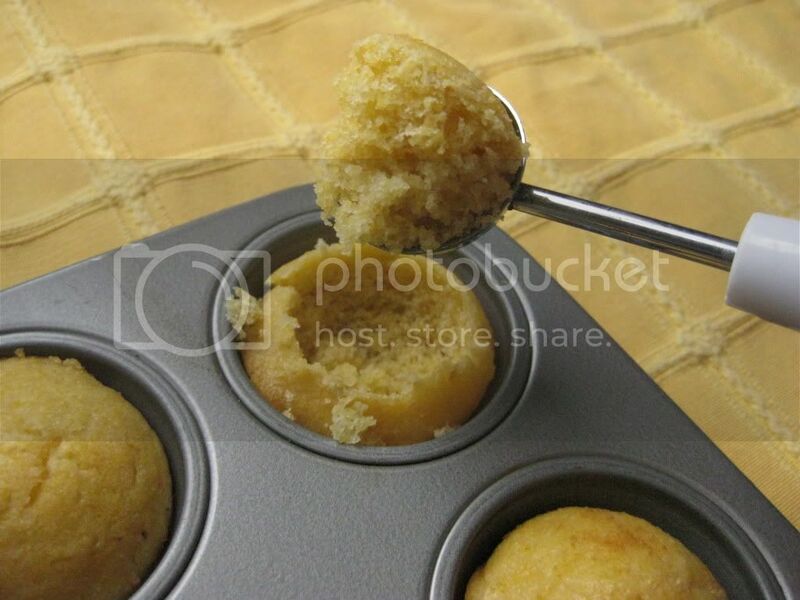 Using a melon baller or small spoon, remove the inside of each mini-cornbread muffin. Fill with one of the suggested fillings above, or get creative and use your own idea. Top with cheese, olives or tomatoes; or again, get creative. 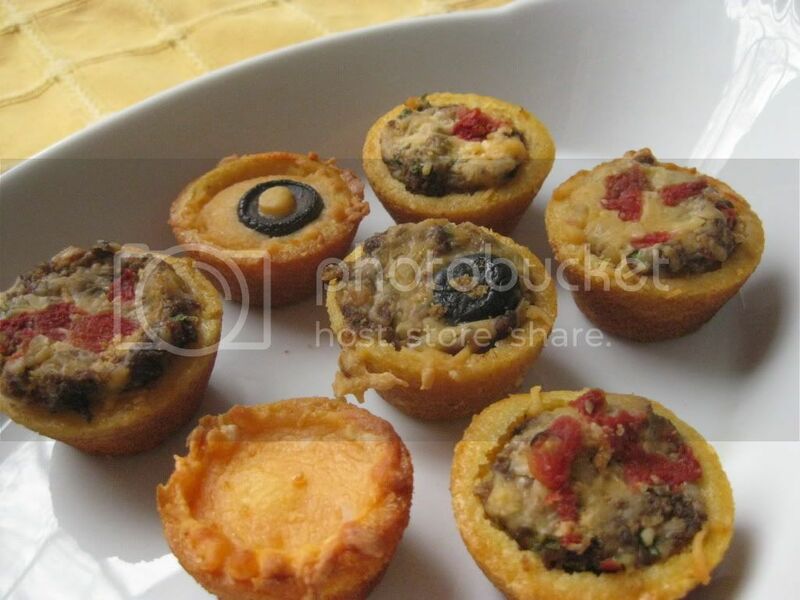 Place the muffin tray in the oven just until the cheese melts or the filling is warm, about 3-4minutes. These little beauties were a hit in R's lunchbox. Thank goodness for small lunchbox victories! Yum! What a great idea for lunches or appetizers!